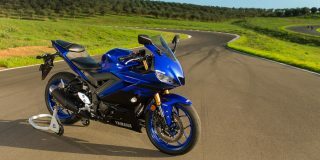 utilising many of the skills and practices learned through its brilliant three-cylinder streetbike range. 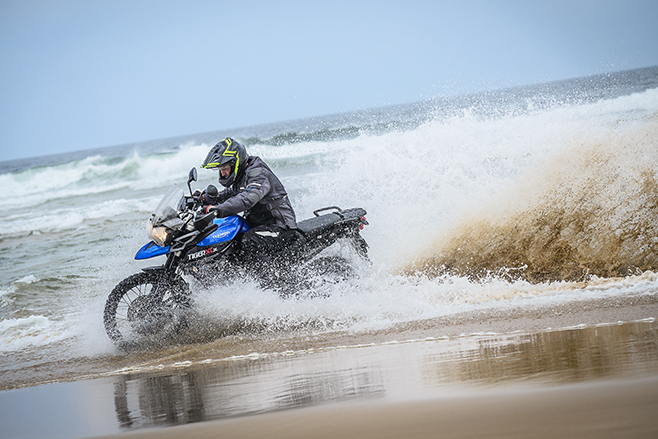 During this time chief rivals BMW came out with the revamped 2013 F 800 GS. Two years later, we now have a new range of Tiger 800s to play with. 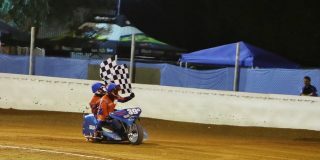 The 2015 Tigers have addressed many of the shortcomings owners complained about – much of them from the rigorous pain Aussie riders put them through. 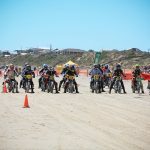 There’s also stacks of new electronic and chassis goodies aimed at taking top spot in the mid-sized adventure category. 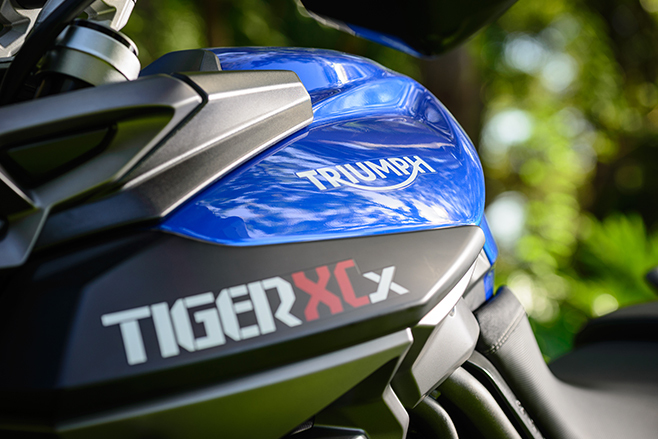 The biggest advancement in the 2015 Tiger over its predecessor is the addition of a new ECU incorporating a ride-by-wire throttle. 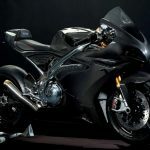 This gave the lads at the factory the ability to fit variable engine maps, ABS, cruise and traction control – all of which the old bike didn’t have. It loves to be flicked around on trails, dancing and darting, missing logs, ruts and marsupials, with short bursts of three-cylinder grunt. This alone makes the Triumph a worthy adversary to the BMW, because mechanically the old bike was a very good proposition indeed and only needed touch-ups to stay in the game. 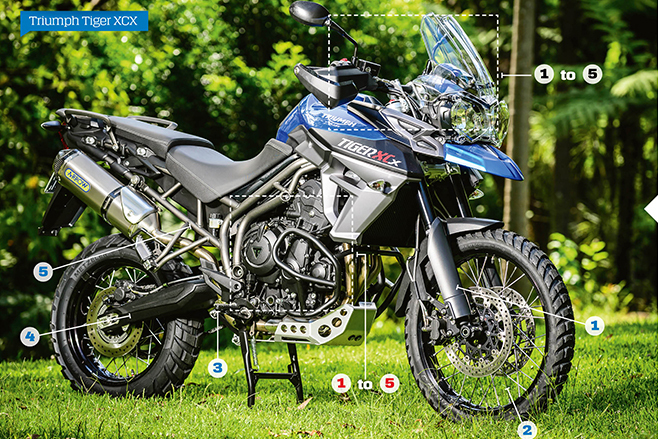 But for the hard-core adventure riders out there, what they will love more than ever with their new Tiger 800 XCx is the brilliant adjustable WP suspension. This stuff is miles better than the unadjustable Showa forks fitted before, offering much better bump absorption and long-range comfort. There’s tons of other new bits, like the titanium paint on the frame and grabhandles that don’t fade or chip as easily; the pre-filter for the air filter – a recommendation made by Triumph Australia following two weeks on the torturous APC Rally a couple of years back; a 90mm longer chainguard and new rubbers to stop the chain slapping noise riders hated; and a slightly different seat. 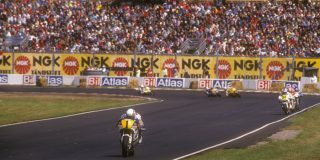 Trumpy had to be careful here because the old seat was one of the best on the market for big miles. But all this stuff means nothing if the bike isn’t better than the last one, which, thankfully, it is. Although it doesn’t feel very different to the old one. Everything is pretty familiar – from the bodywork, handlebar and seat position to that grunty burble at idle that sounds nothing at all like the flat drone you get from an 800 GS. The biggest immediate change comes from the feeling your right hand gets. We are in a digital age and the Ride-By-Wire system can take a bit to get used to (not so if you’re used to an Explorer). Initially, and depending on what map you’re in, the throttle can feel a little vague as you familiarise yourself with the system. However once you’ve got a feel for it, it’s almost intuitive. 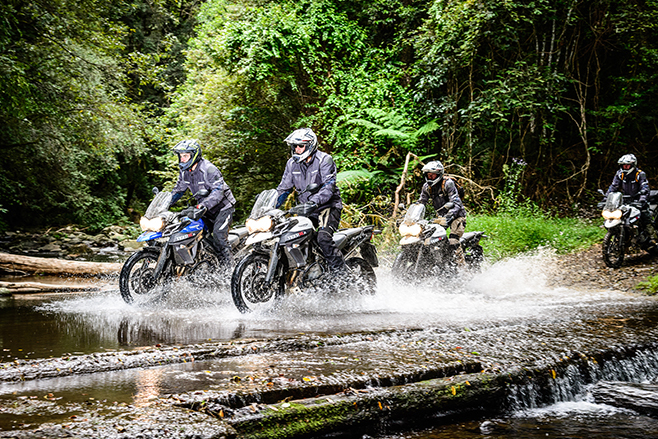 Riding in Rain or Off-Road maps gives pretty much the same throttle response (muted), with Road and Sport giving a more direct application and faster opening of the three throttle valves. For an adventure bike, it goes pretty hard in Sport mode. You also have the Rider mode, which you program to suit what type of overall program you desire. So if you want the Road throttle map and no traction control or ABS, you can preset that in Rider mode. 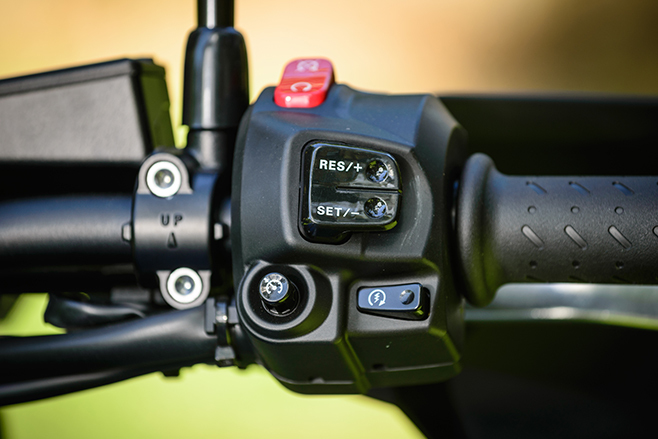 But if you disengage ABS and traction control and turn the bike off with the key (not just kill the engine via the kill switch – but leave the ignition on), the system will default back to having traction and ABS activated and you have to reselect Rider mode. You have to make a conscious decision each time you start the bike that you don’t want traction control and ABS. It makes sense when you think about it. 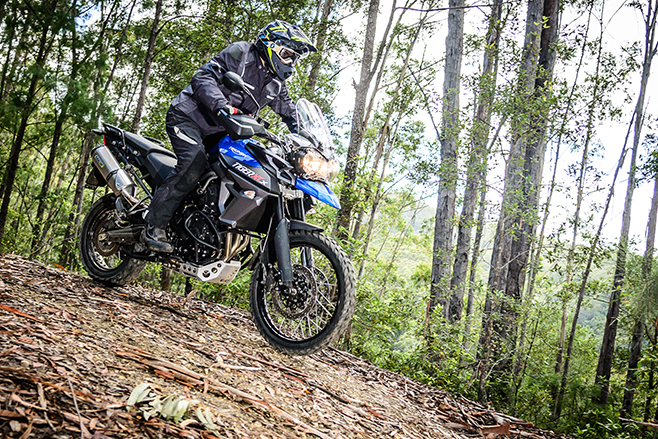 As my ride snaked its way across the New South Wales mid-north coast countryside, the user- friendliness of the Tiger started to shine – primarily the benefit of the upgraded suspension. My test bike was fitted with Metzeler Karoo 3 trail rubber. These are brilliant hoops, which I first rode with on the BMW R 1200 GS Adventure. The standard fitment are the Bridgestone Battle Wings. Youch! Don’t attempt to modify or reset your TPS (Throttle Position Sensor) setting. You’ll be up for new throttle bodies if you do! 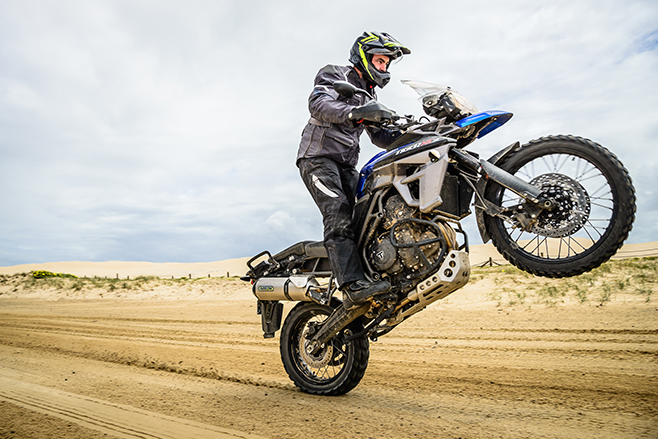 When combined with the added stability of the new WP suspension of the Tiger 800 XCx, you feel you can stick you front end almost anywhere you like. Well, you can’t. You’ll get in trouble. But back to the bike. 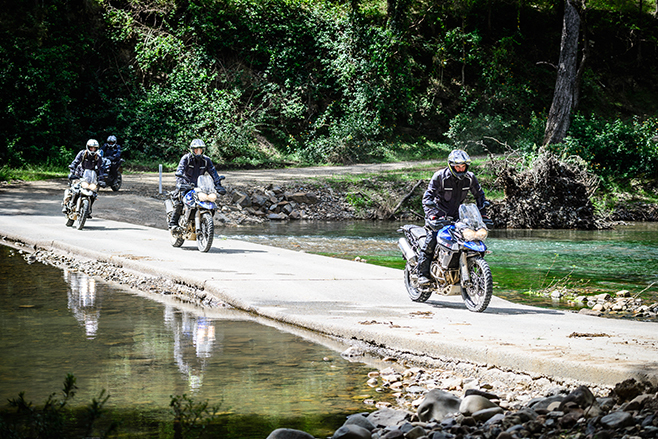 The new WP springers give the Tiger a feeling of solidity the old bike simply did not have. It doesn’t dive as much under heavy braking, but it does so just enough to let the front tyre do its thing without overloading it, providing you’re not riding like a maniac. 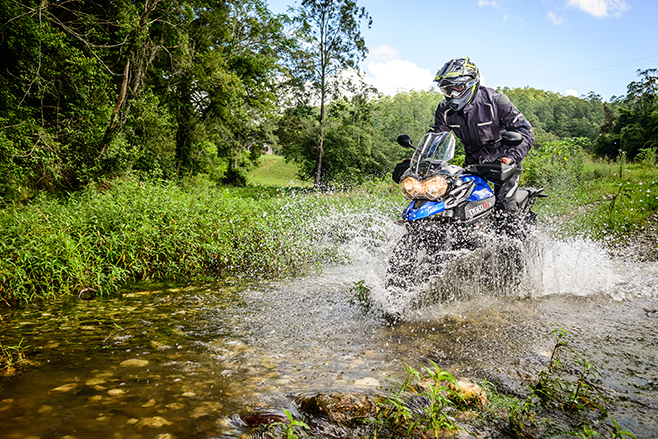 Ride fluidly and the lack of weight and improved stability over the old bike compared to something like a 1200 adventure bike makes you wonder why you’d ever buy a big bike in the first place. 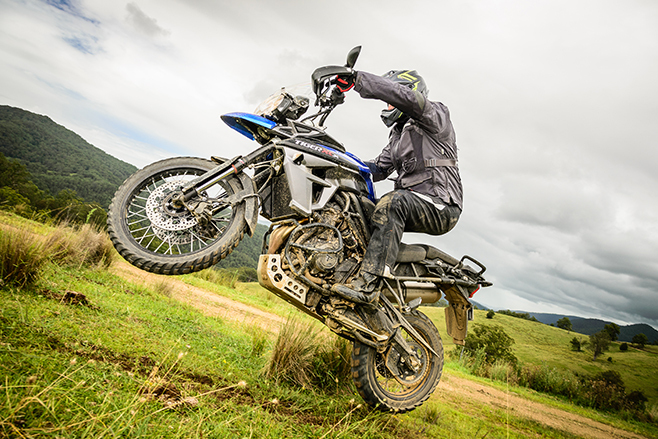 The 800’s chassis just loves to be flicked around on trails, dancing and darting about, missing logs, ruts and marsupials, with short bursts of three-cylinder British grunt giving a glorious soundtrack to the ride. The rear suspension is similarly brilliant in its bump absorption and comfort level. 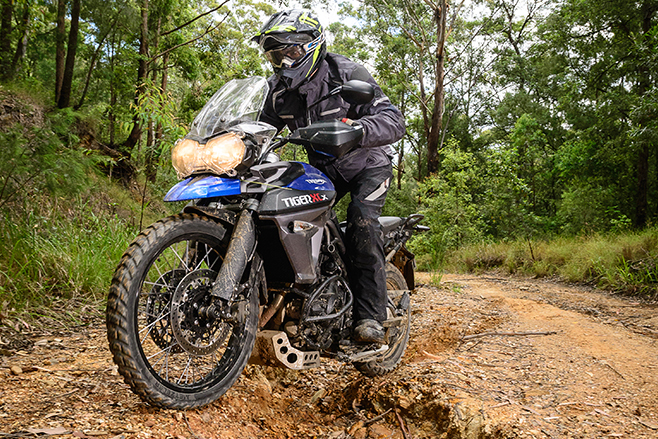 The WP shock, which now comes with a handy mudguard – another recommendation by Aussie Tiger riders – stays composed under pretty much any riding condition and is a huge improvement over the outgoing Tiger’s shock. 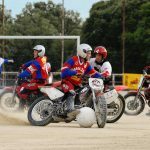 You can tune it how you like, but for my 90kg and the riding I did – mainly dirt interspersed with some tar sections – the back-end of the machine suffered no issues with the standard Triumph suspension settings. It just let me get on with the job of riding and missing whatever obstacle was coming my way. And when you do eventually come up on that ’roo, you’ll be glad Triumph has given you Off-Road settings for the ABS. This is where I spent most of my time because it makes no sense not to have ABS activated on the front in the dirt. On the rear it’s a different matter as it gave me the option of locking the rear and sliding it into corners. But I really enjoyed having the ABS activated on the front. ABS has come bloody far in the last few years and the performance of the Trumpy system was very impressive. Even on gnarly, shaly gravel, the system lets the bike creep down without that horrible pulse at the lever you used to get with ABS. But I do like having the ability to completely disable the system. The XCx has plenty of midrange Trumpy torque we all love and it doesn’t mind throwing out decent acceleration when high in the rev range, giving it the nuts on the road. It’s an engine anyone can get the most out of: not intimidating in the slightest, yet with enough poke to keep pretty much everyone happy. The midrange torque is key, as you don’t have to stamp up and down the gearbox to keep it singing along. There’s ample go from 3000 to 9000rpm, but the best performance is found around 5000 to 7000rpm, and you sure as hell don’t need to rev it any harder if the ground beneath you is anything other than dirt. Stick the traction control and ABS to the Off-Road setting – which disengages the rear ABS but leaves it on the front – take the footpeg rubbers off, bung it in third gear at 6000rpm and you’ve got a licence to shred a rear tyre as you can hang the drift out nice and wide before the electronics haul everything back in. Alternatively, you can go the complete opposite end of the spectrum and stick it in sixth gear and just let the 800cc donk pull you from corner-to-corner without feeling like you’re killing the gearbox. 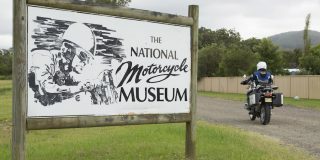 Once I managed to get the Tiger to pull cleanly from 1200rpm in sixth – albeit on a flat stretch of road from 20km/h. 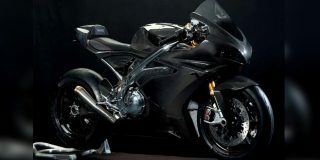 It was pretty impressive as plenty of other bikes will cough and splutter their way into a happy operating zone. The gearbox itself has a nice smooth action to the shift, which you just expect these days. 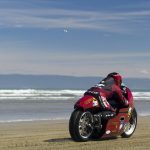 The gearbox now runs the same shaft and forks as the 675 Daytona, which has greatly improved its action over the old system. The final gearing is pretty short, no doubt to help you get the most out of low rpm riding on trails. But on the highway you’ll be pulling nearly 5000rpm at 100km/h. The traction control system cannot be switched on/off on the fly, which can be annoying as you’ve gotta stop each time you want to change it. But when you’re riding you can alter the throttle map on the fly – so you’ve got to remember that if you’re in Off-Road mode with the ABS and you want the Road throttle setting, you’ll still have Off-Road ABS when you switch the throttle over, not the Road ABS setting. It can be confusing, but after a while, like the throttle feel, you just get used to it. I covered some serious miles on the bike with a couple of 10-hour days and three things stood out. First was the seat hasn’t been molested too much by the Trumpy engineers and it retains the ability to stay comfortable for huge periods at a time, just like the old one. There are not many bikes I’d be happy doing such big days back-to-back on, but the seat on the XCx makes the proposition not too daunting. Secondly, if I owned an XCx the first thing I’d do is fit some handlebar risers. I’m 182cm and the standard height of the ’bar is just too low for me. I started to get cramps in my back from hunching over all the time. For day two I rolled the ’bar forward in the clamps, which makes the ends of the ’bar rise about 15mm, and this certainly helped the comfort factor. Triumph thankfully offers 30mm risers as an optional accessory. Finally, I’d replace the steel rear brake line with a rubber line. The steel line has been fitted with performance on the road in mind, but that’s not where it’d spend most of it’s time if it was in my garage. On the off-road sections, I found myself locking the rear easier than I would if I had a rubber line and could feel the lock coming on. 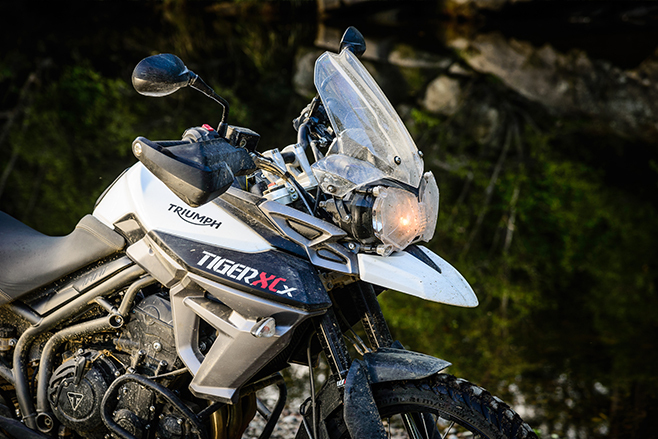 Regardless of these minor shortcomings, the Triumph Tiger 800 XCx is an excellent machine. 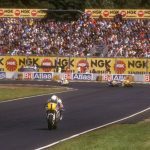 The revamped engine and vastly improved suspension package are worthy successors to a bike that was already very good – so good it took Triumph five years to improve it. It’s also got a bit of inbuilt soul. That three-cylinder engine just oozes charisma and I really like that in a bike. But the biggest single thing that makes the XCx a great bike is that its performance is easily accessible to riders of pretty much any skill level, yet still being fun for all. If you’re going to strike a compromise, that’s a pretty sweet one to land on. The Triumph Tiger 800 XCx engine is the cleanest ever made by the Hinckley boys. So how did they do it? 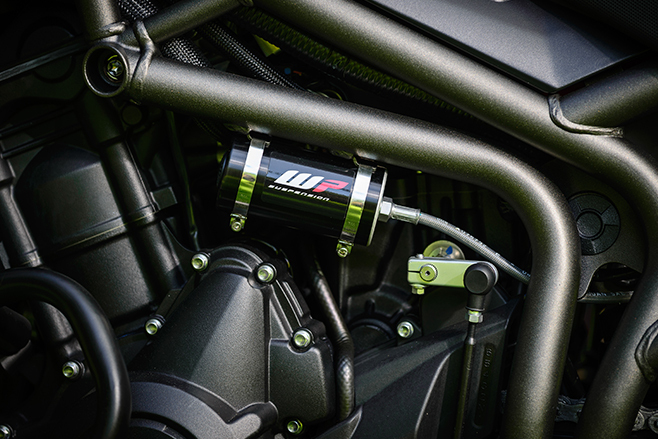 “The number-one reason Triumph fitted the ride-by-wire throttle was because of emissions,” says Triumph Australia’s tech guru Cliff Stovall. “This is the first Euro4 compliant engine and it had to be made, otherwise we wouldn’t be able to sell it in Europe. The RBW system also gives a 17-percent improvement in fuel economy. Triumph is releasing an upgraded accessories list with the new XCx. 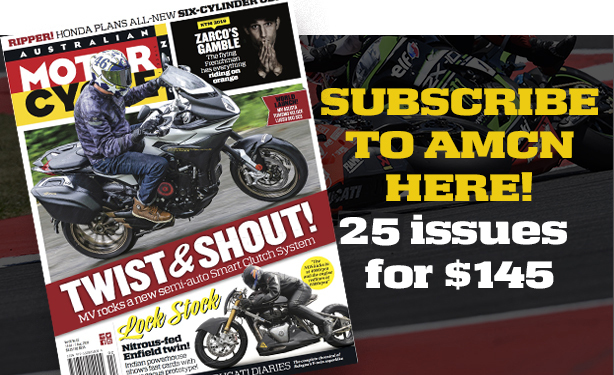 Everything from Givi-made luggage to Arrow exhausts, fork protector kits, chain adjusters, different screens, machined footrest kits, frame protector kits, ’bar risers… We could go on for pages. 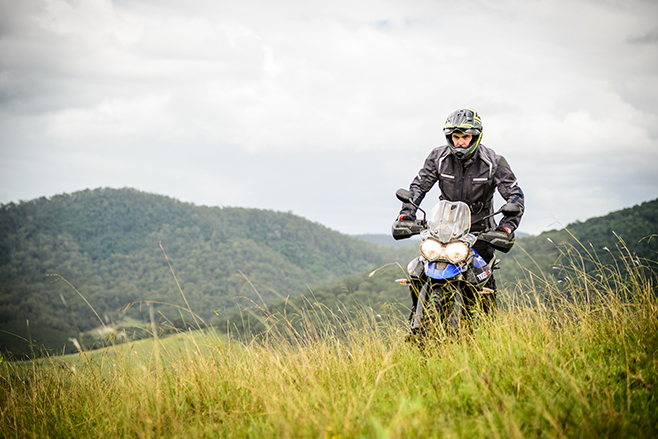 Triumph has also released a new adventure suit, dubbed the Trek, which is made from 600D Polycordura with CE protectors in the shoulder, elbow and back, as well as knees and hips. The Trek suit also has a removable waterproof lining and comes in yellow and black.